The Aeronca C-2 was the first truly light airplane certified by the Department of Commerce, Bureau of Aeronautics and produced in substantial numbers in the United States. 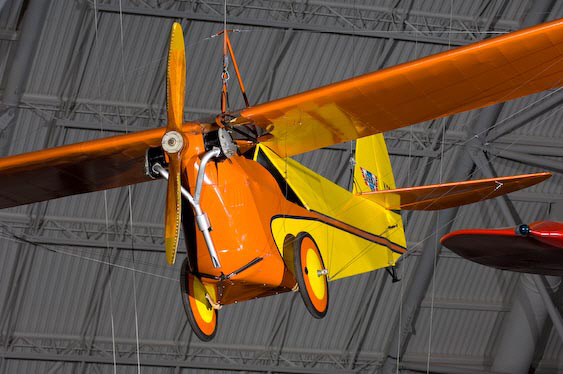 Safe, economical, and easy to fly, this delightful but unassuming monoplane changed the face of aviation by tapping a new market, that of private aircraft ownership. 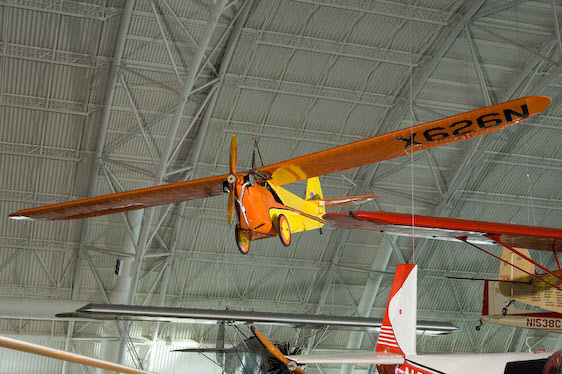 This Aeronca is the production prototype; it first flew on October 20, 1929. 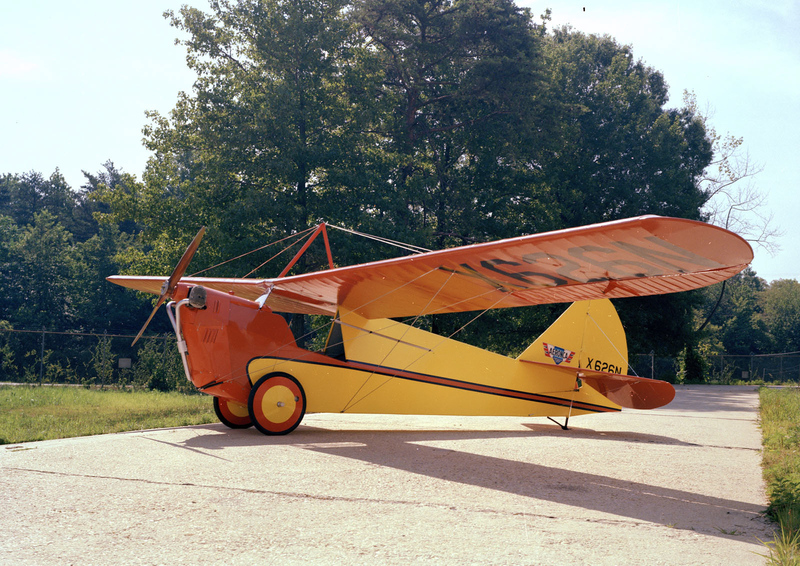 The single-seat Aeronca C-2 and the two-seat C-3 capitalized on the enthusiasm of the post-Lindbergh flight era by offering small and affordable designs to the general public. During the depression, while many larger aircraft proved to be too expensive to operate, the Aeronca C-2 sold for under $1,300 and could be rented for only $4.00 an hour. 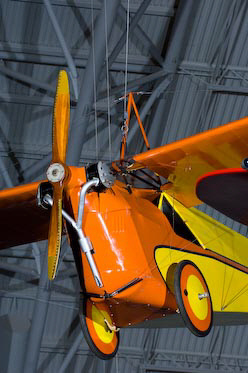 This Aeronca flew for 10 years with several owners. The Aeronca C-2 of 1929 was the first truly light airplane certified by Department of Commerce, Bureau of Aeronautics and produced in substantial numbers in the United States. 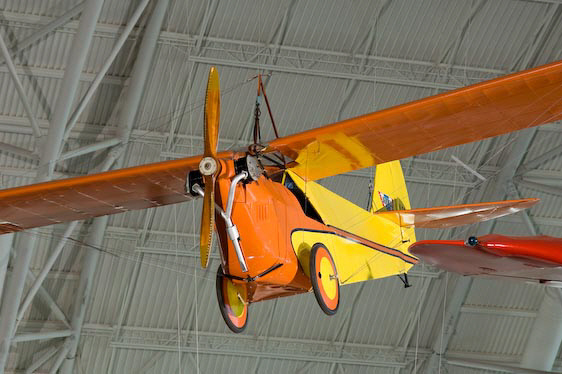 Safe, economical, and easy to fly, this delightful but unassuming monoplane changed the face of aviation by opening a market never before successfully tapped-that of private aircraft ownership. The Aeronautical Corporation of America, a small company whose name was shortened to Aeronca, was formed in 1928 at Lunken Airport near Cincinnati, Ohio. 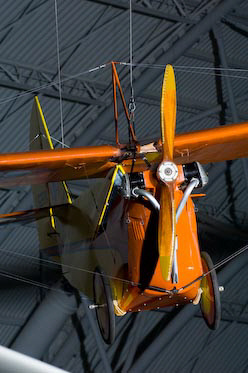 Aeronca bought production rights to a small and light airplane designed solely for recreational flying by French-born Jean A. Roché, Senior Aeronautical Engineer for the U.S. Army Air Service. The airplane, engineered for production by Roger E. Schlemmer of the University of Cincinnati's Aeronautical School, was designated the C-2 (Roché's hand-built plane being considered the first of the type). 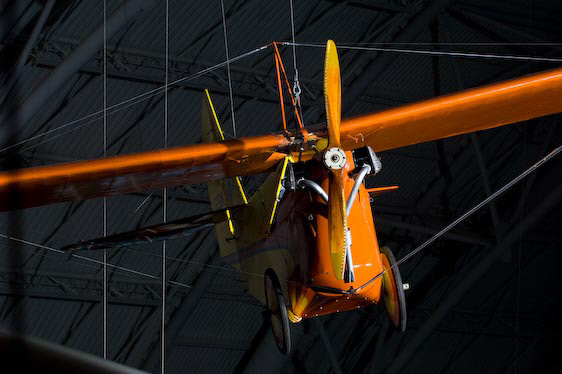 Work began on the production prototype in 1929 and it first flew on October 20, 1929. Painted bright yellow and orange, it was assigned registration NX626N. Before the Aeronca C-2, purely recreational aircraft were rare. 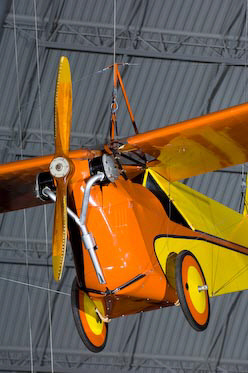 There was almost no private ownership during the decade following World War I for the open-cockpit biplanes had to work to earn their keep. Even the barnstormer's Jenny-despite inexpensive price and romantic images-was strictly a commercial venture that bore little resemblance to the luxury of owning an automobile. By the late 1920s and early 1930s, aircraft manufacturers began to cater to the lucrative but limited market of the wealthy sportsman pilot. 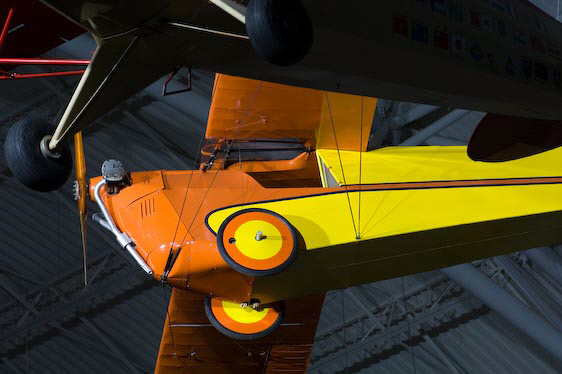 Charles Lindbergh's 1927 flight from New York to Paris in the Ryan NYP Spirit of St. Louis heightened public awareness of the airplane, but, ironically, it was the depression that further promoted the emergence of light airplanes by making larger aircraft too expensive to operate. 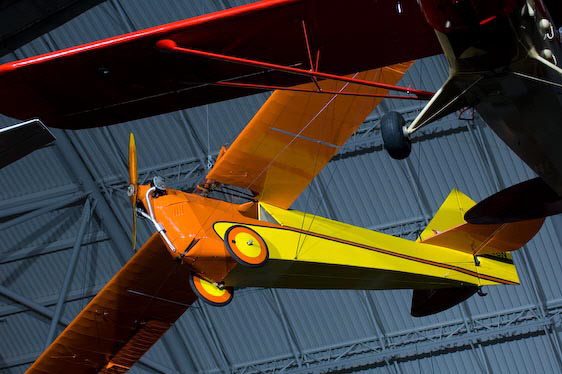 These factors, and advances in airframe and engine technology, set the stage for one of the most significant trends in aviation between the wars when it became possible for a significant segment of American society to own and fly an airplane. 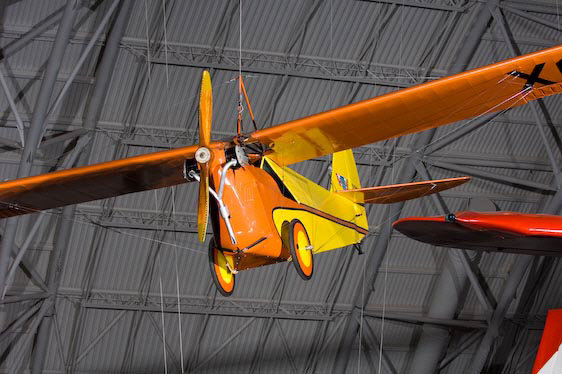 The first C-2s that Aeronca demonstrated at aviation expositions around the country won enthusiastic acceptance during the latter half of 1930. Squat and bug-eyed, the diminutive Aeronca C-2 was a simple airplane with modest performance and delightful flying characteristics. 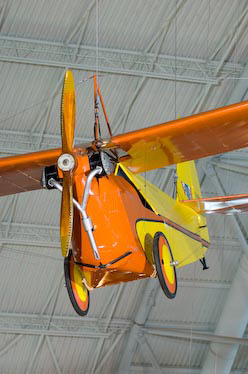 Its steel-tube fuselage and wooden wings were covered with fabric and braced with wires. The pilot, seated before a stick and rudder bar, had just four instruments: oil temperature, oil pressure, nonsensitive altimeter, and tachometer. 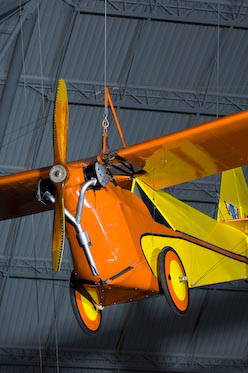 The single-seat C-2 was powered by a two-cylinder Aeronca E-107 engine rated at 26-30 hp. In 1929, the Aeronca C-2 sold for $1,495. By mid-1930, the price had dropped to $1,245 as a result of the depression. C-2s were economical at 1 cent a mile for oil and gas, and they could often be rented for just $4.00 an hour. Furthermore, they were simple to fly, easy to maintain, and had no bad characteristics to spring on a novice pilot. 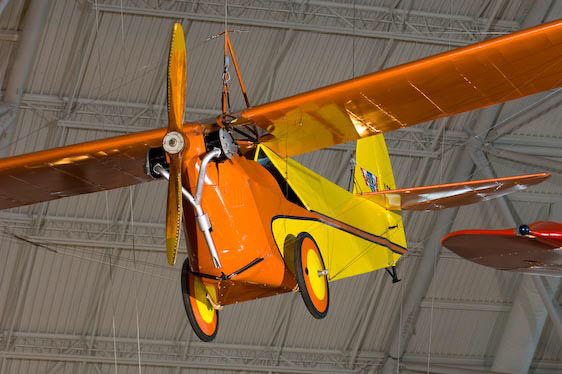 By 1931, more than 100 C-2s had been sold and Aeronca introduced the two-seat C-3, with an Aeronca E-1 13 36-40 hp engine. With seating for two side-by-side, the C-3 offered greater utility than the C-2 and quickly became popular as a trainer. "Airknockers" or "Flying Bathtubs, as they were affectionately known, made it possible for the average person to fly. Other light aircraft began to appear but the Aeronca style remained popular and C-3 production ended in 1937 with more than 500 produced built. NX626N flew for ten years with a variety of owners. 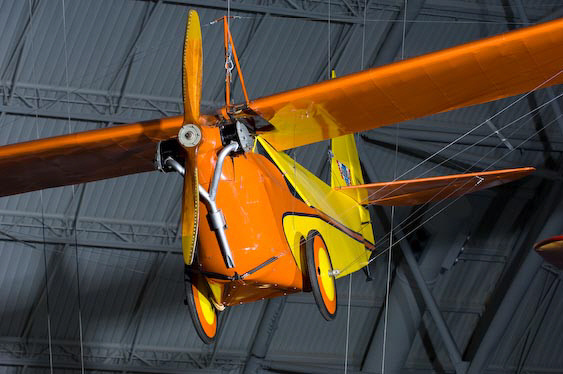 In 1940, it was reacquired by the Aeronca Company for display at its new factory in Middletown, Ohio. 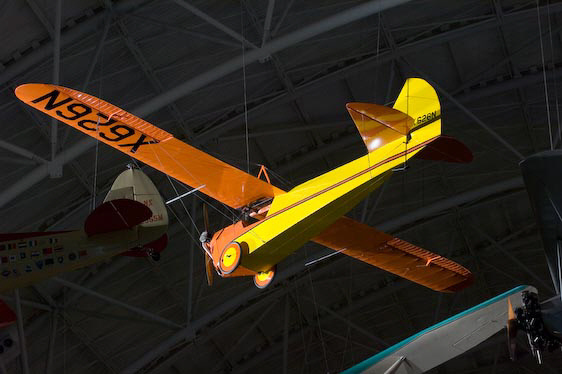 In 1948, after the establishment of the National Air Museum in 1946, the Aeronca Company answered a call by the Smithsonian Institution to various companies and organizations for historic aircraft and donated the first Aeronca, C-2 NX626N. The C-2 was restored 1976 and was briefly displayed in the General Aviation gallery. X626N; 1929 single-seat, light sport monoplane; Aeronca E-107A engine; low-wing, tailwheel design.